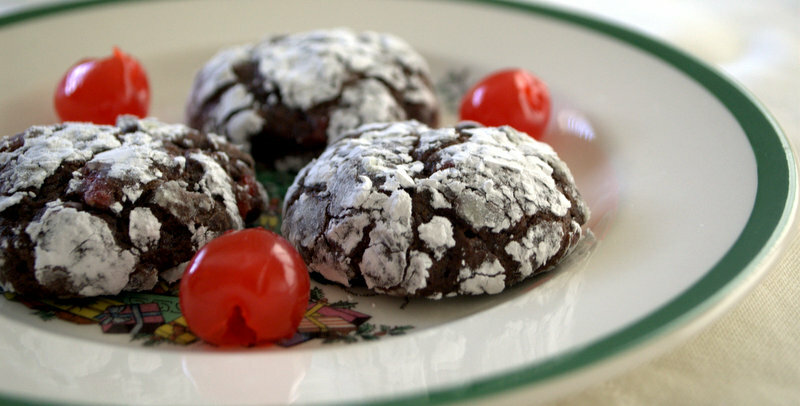 Chocolate Cherry Crinkles – a chocolate crinkle cookie with diced maraschino cherries. 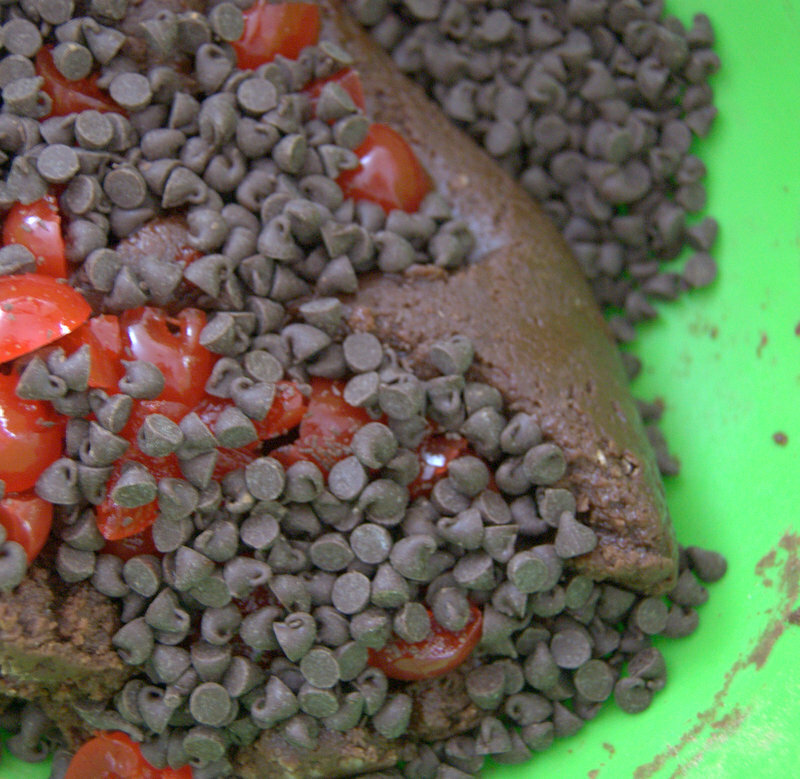 If you like chocolate covered cherries, this cookie is for YOU! 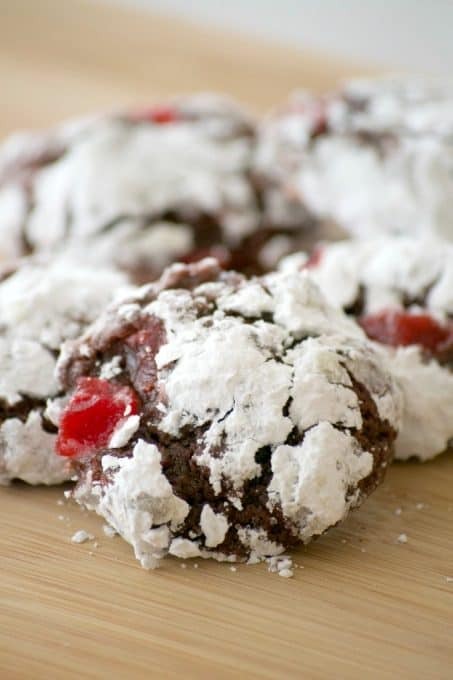 To start off 2016’s Day 1 of the 12 Days of Cookies, I’m bringing back these Chocolate Cherry Crinkles from 2011. I LOVE chocolate covered cherries. They are like one of my all-time favorite candy, candies, tomatoes, tomahtoes, yada yada yada. Ok, I forgot about Reese’s. Oh, and I forgot about Twix. Alright, so I guess they aren’t really my most favorite candy. I don’t like to discriminate. All candy deserves an equal opportunity to be eaten. The great thing about this recipe? You only need ONE bowl!! You don’t need to get out your mixer to make them or nothin’. And did I tell you? Each cookie has pieces of these inside!! 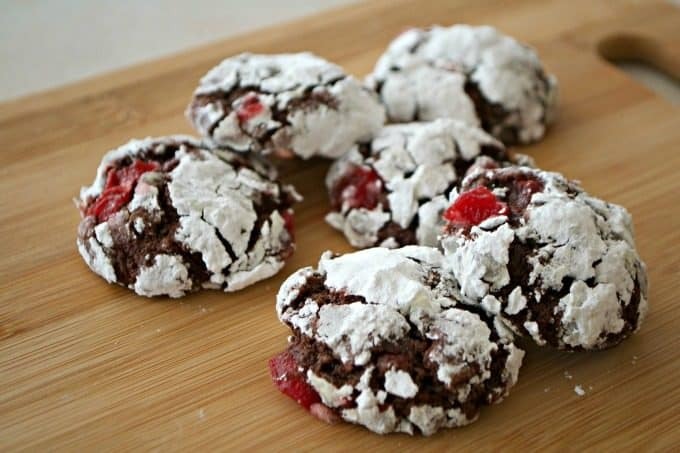 These Chocolate Cherry Crinkles are a chocolate crinkle cookie with diced maraschino cherries. If you like chocolate covered cherries, you're going to love these! Sift the flour, granulated sugar, cocoa powder, baking powder, and salt together into a medium bowl. 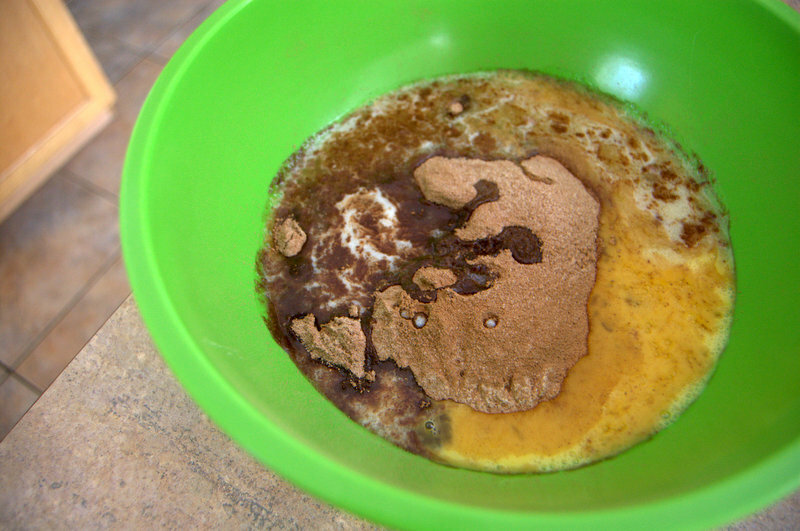 Add the eggs and melted butter and mix until thoroughly combined. Mix in the chocolate chips, quartered cherries and cherry juice. Cover bowl with plastic wrap and refrigerate for two hours. Preheat oven to 325 degrees F. Prepare a baking sheet by lining it with parchment. 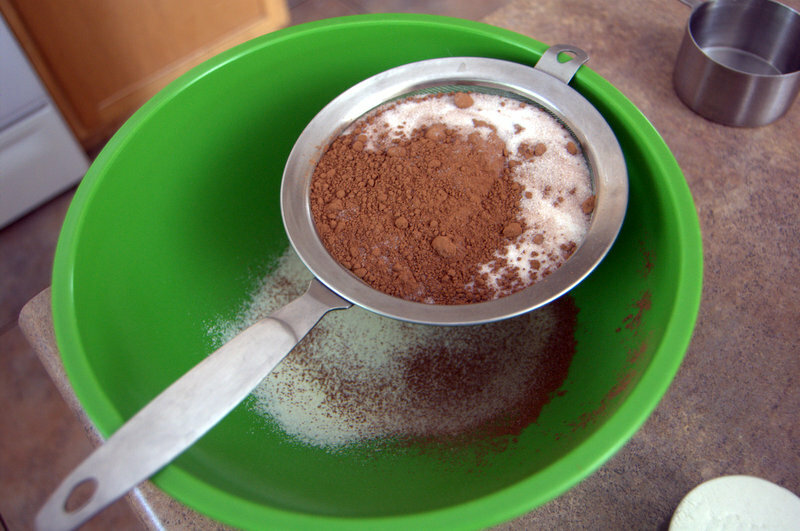 Place the 1/2 cup confectioners’ sugar into a small bowl. Using a flat tablespoon of dough, roll into a ball and roll in confectioners’ sugar. Place covered dough balls onto prepared baking sheet about 1-inch apart. Bake for about 12 minutes, until cookies are puffy and crackled looking. 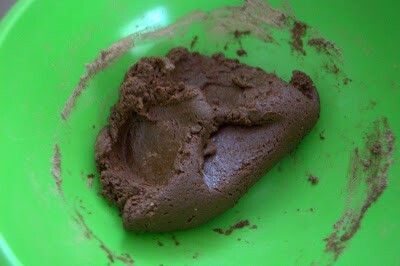 Allow to cool on baking sheet until set, about 5 minutes before transferring to a wire rack to cool completely. Add the eggs and melted butter and mix. Next comes the chocolate chips, quartered cherries and cherry juice. I used to rate everything on a baking sheet from 1-4.Oh. My. Goodness. This is why you don’t write a post while watching reruns of ‘How I Met Your Mother’. You tend to write things that don’t make anything sense. Whoops. There I go again. Sometimes you just don’t need to remove the typos. I rate everything I make on a scale of 1-4 with 4 being the most stupendous thing on the face of the earth. Ok, maybe not really the most stupendous thing, but in my opinion it really totally rocks!! 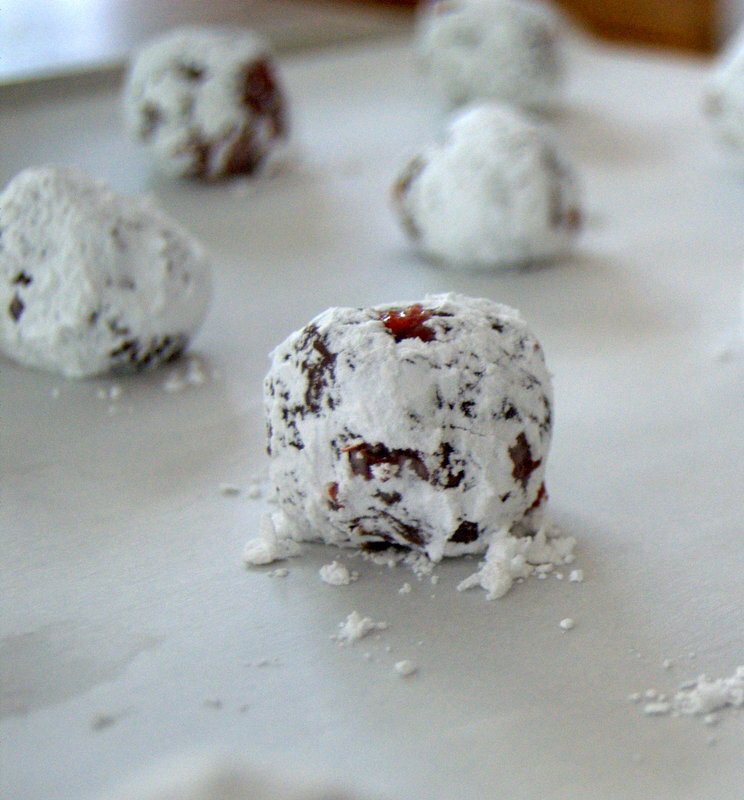 So, these Chocolate Cherry Crinkles earned 3 1/2 rolling pins. Ok, maybe they should be changed to 4 rolling pins then. 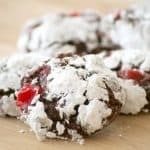 For the first time in the writing of the 365 Days of Baking blog, I’ll let YOU, my dedicated reader decide should you bake these cookies. They tasted like…like a pretty awesome fudgy chocolate covered cherry. They were pretty darn special. Store them in an airtight container in between layers of wax paper or parchment. Give them to your neighbors. Pack them in a care package for your daughter in college. Take them to the office and give them to your boss. Eat them all by. your. self. I made these today with my mom, because we are adorable like that, and they were FREAKING AWESOME! Thanks for posting this, I think this recipe will be part of my usual Christmas rotation! I think I’m going to eat these all by myself! 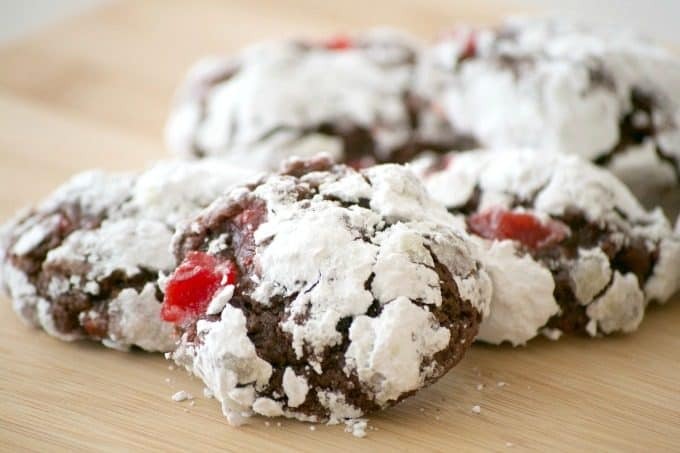 Totally pinning, because I love the idea of cherries and chocolate in a cookie! I love these cookies, they will be a regular in my house from now on. 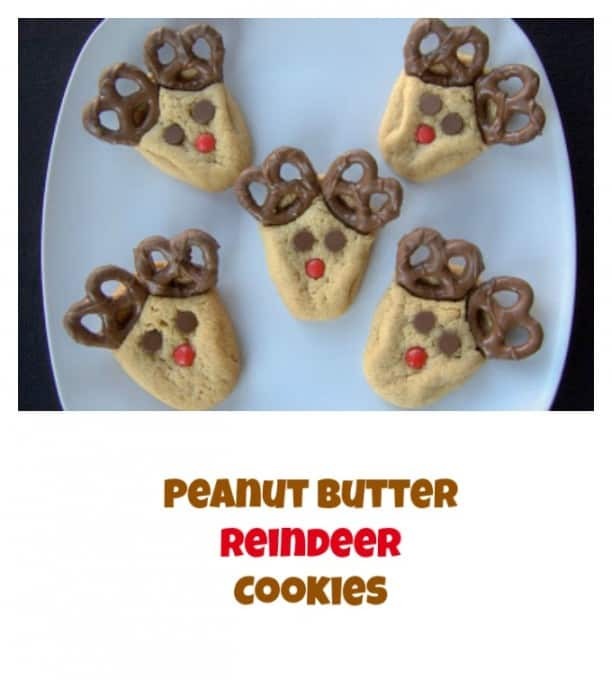 What a great Christmas cookie, I posted a picture on my face book and had to post recipe. I bought a jar of maraschino cherries and only used about ten of them for a pineapple upside down cake. Now I know what I will do with the rest of the jar. These sound scrumptious. I think I’d just eat them right out of the jar, Lisa! LOL! Glad you found a use for them. These cookies are quite delicious! Enjoy them! These were amazing! And so easy! I’m going to be making them again, and again, and again, and again, and again… you get the idea! Thank you for bringing these cookies into my life. Oh, Angela, I’m so psyched to hear that. Thank you! Made these and they were done within an hour!!! So tasty!!! So glad you liked them Monica! Thanks for letting me know! How do you store theses? Will they go bad quicker because of the cherries? Tia, I haven’t ever frozen the dough and I wouldn’t recommend it as I’m not sure how the end result would be. If you do try it though, I’d love to hear your results! I just loved your response to how long these cookies might last. I made these last year during the holidays and they lasted about 8 hours! These are insanely delicious. I had to make two batches just to have enough cookies to give away! I make them anytime I need the perfect dessert. Thank you so much for posting this recipe. LOL You’re welcome, Lisa! Thank you so much for the feedback and taking the time to let me know. 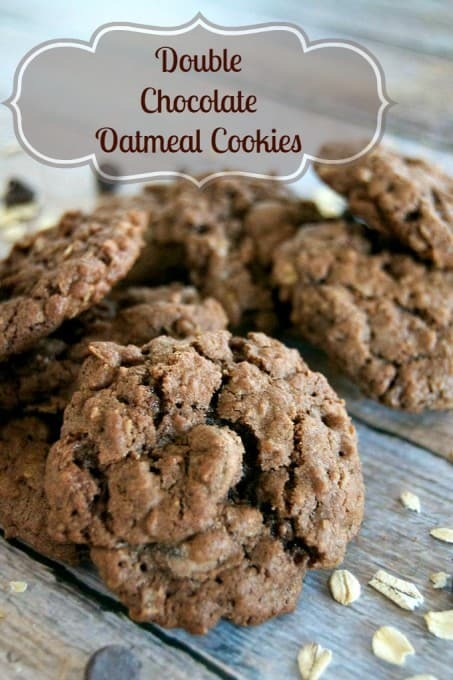 They are pretty deadly and you’re a smart woman for making a double batch! 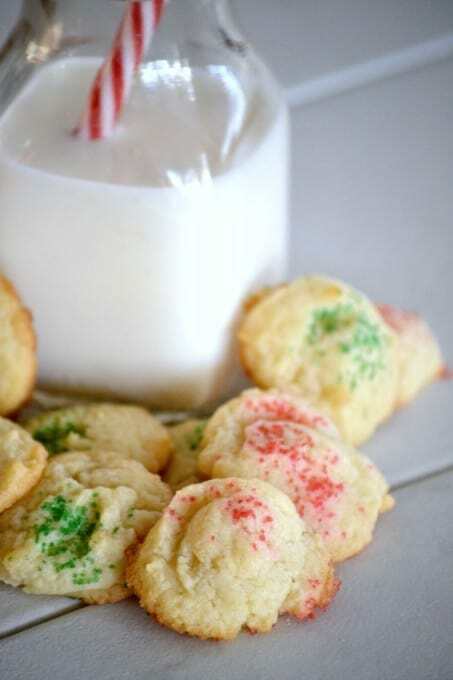 Here’s to more great cookie recipes!